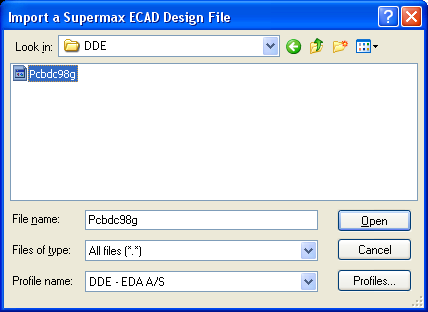 DDE - EDA Supermax ECAD designs are imported in the native design file format. 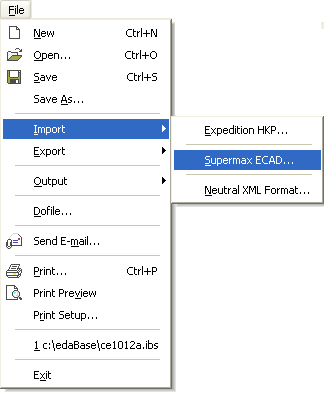 During import of a Supermax ECAD design layer mapping and behaviour is controlled through specified profiles. Profile settings are store as registry settings and can easily be managed through the Windows programs. It is possible to add several profiles to support different company setups. The Supermax ECAD design must be saved in savegrpwise mode to ensure full functionality for nets and areafills. 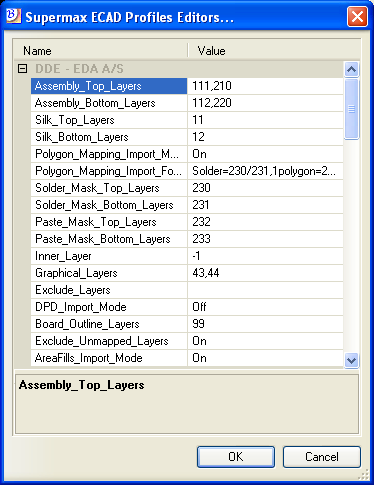 When saving the Supermax ECAD design the system parameters savegrpwise=y and FastSave=n should be sat. 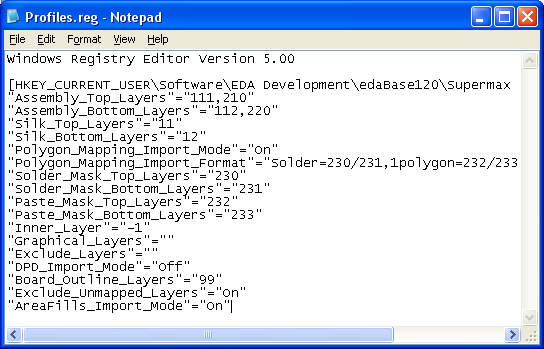 Ones a design has been imported, it can saved in the edabase binary format as one self-contained file.